Flott, romslig kirke, bygd i 1845 i den rolige landsbyen Waterford. Bygningen har blitt restaurert innvendig og utvendig, uten å endre den opprinnelige karakteren. Balkongen, der søndagsskolen ble holdt, har en queen size seng og en enkeltseng. Den maine hall, gang okkupert av benkene, er nå en stor åpen plass med hvelvet tak, og flere sittegrupper. Den nede plattform hvor orgelet en gang sto, har to enkeltsenger. I det ene hjørnet av hallen er en kjøkkenkrok, egnet for frokost og lette måltider. Det er et lite, men funksjonelt bad med dusj, toalett og vask. Kirken har en acre av land, som grenser til byen bekk. Nærliggende svømme ar Keoka Lake byen stranden, fiske og fotturer. Denne eiendommen parene godt med eiendommen ved siden av, Homeaway 130393, (VRBO 307190.) Eiendommene dele en innkjørsel, og de to ville gjøre en ideell utleie for større grupper eller spesielle anledninger. Dusj, toalett og en liten vask. Badet er lite, men funksjonelt. Our family of three stayed in the church for two nights during the world famous Fryeburg Fair. Waterford was just a "wide place in the road" but so charming and beautiful in October. The church itself is such a unique place to stay - we couldn't pass it up! We loved that there was some history displayed and that the furnishings supplemented the historic feel. Everything about our stay was easy - communicating with Kerstin, getting in, locking up, controlling the temp, managing food, bathing, sleeping - all just right. The church was stocked with abundant linens, tableware, and board games for entertainment. I'd recommend this AWESOME rental to anyone. I loved this converted church. I brought my 8 year old son there for a mother son weekend. It’s in a slightly out of the way spot, but that is just what we wanted. 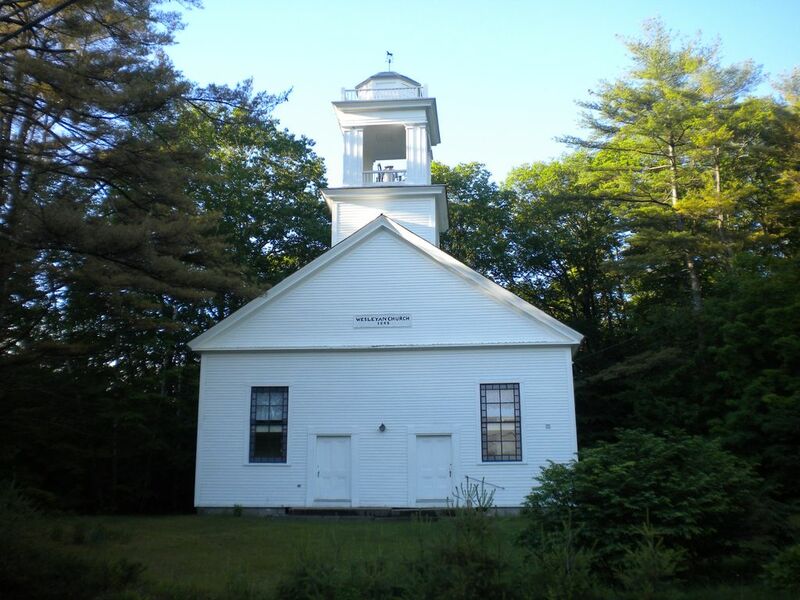 It is 10 minutes from Bridgetown and half hour from Fryeburg. The space is lovely and charming with one big wide open room. It might not suit a group of people who want privacy within the home since there are not really any enclosed rooms, but for our purposes it was perfect. There is no tv but, again, that’s exactly what I wanted. Only real downside is a very tiny bathroom. Not a big deal. The owner was fantastic! There was a strong gasoline smell when I arrived which I contacted her about and she got back to me in minutes and identified the problem as some spilled gasoline in the adjoining shed. When she visited the home after we checked out and discovered the smell herself, she insisted on refunding us. I’m sure the smell will go away. We would definitely return ! Lovely setting and quiet. Spacious interior, except for the bathroom - not designed with large folks in mind. Everything you need is available - towels, appliances, dishes and glassware. I loved the convenience of making my own meals. High ceilings mean echos, so I would suggest individuals or small quiet groups. Overall a great place for the price and SO much better than a small motel room. It was so nice to stay here. We had so much space and the location is beautiful. The place is amazing! I don't usualy go to church, but I would for sure go back to this one. Appart of this, the place is confortable and well equipped. What impressed me the most was how clean it was. A great spot to escape the rat race. This property is suitable for events, such as weddings and reunions.Please contact owner for rates.